OK. Enough with the introductions. A while earlier, I mentioned that our time was short — too short for us to curl up in a comfortable chair and dream away our brief chance to save the world. Let's wake some of the dreamers. 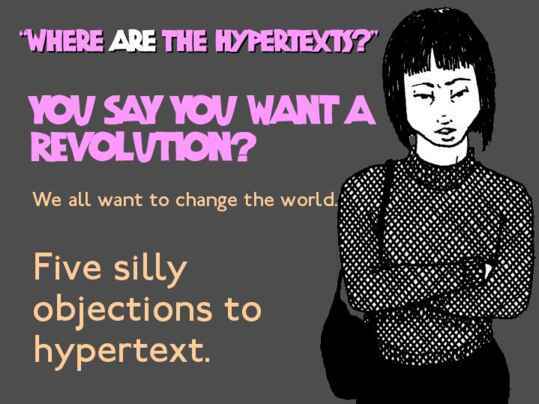 Where are the hypertexts? Some of them are hiding from silliness.